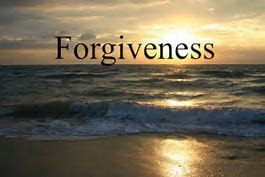 There are several questionnaires that can help individuals, clinicians, and researchers discover levels of forgiveness. As you might suspect, the different measures reflect different ideas about forgiveness. In this post I will look at trait forgiveness rather than state forgiveness. I am using trait in a psychological sense to mean a disposition or tendency—a behavior pattern that we might consider a part of someone’s personality. Psychological scientists sometimes refer to trait forgiveness as dispositional forgiveness or forgivingness. Trait forgiveness stands in contrast to a particular state of forgiveness. For example, a person may think about a specific offender and a specific event and respond to questions on a “state” scale to indicate their current progress in forgiving the offender. We should also keep in mind that most older forgiveness scales focused on victims forgiving another person rather than forgiving themselves. The trait forgiveness scale was developed by several psychological scientists (Berry, Worthington, O’Connor, Parrott, & Wade, 2005). There are 10-items, which are rated on a 5-point likert-type scale from 1 = strongly disagree to 5 = strongly agree. As you can see, scores could range from 10 to 50. Following are the phrases for each numerical rating. Reliability data have been reported in the range of .74 to .80 using Chronbach’s alpha. Two colleagues and I found alpha = .81 in a Christian sample (Sutton, Jordan, & Worthington, 2014). Following are two items that will give you a sense of how the developers think about trait forgiveness. _______ 1. People close to me probably think I hold a grudge too long. _______ 2. I can forgive a friend for almost anything. In the Berry et al. article, the authors provide average scores for men and women in four samples. The mean scores for men ranged from 30.4 to 36.3 and for women, 31.3 to 34.9. You can find the full 10-items of the Trait Forgiveness Scale on pages 222 - 223 of the Berry et al., (2005) reference listed below. Learn more about scales and survey items in Creating Surveys. A handy reference for clinicians and researchers. Buy Creating Surveys on AMAZON. Counselors and students in counselor education programs may find Applied Statistics for Counselors also relevant. See Applied Statistics on AMAZON.